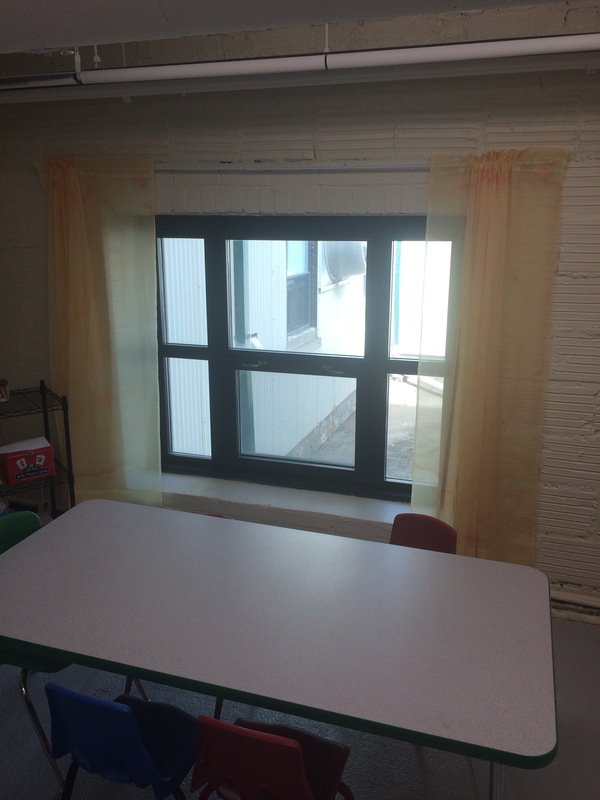 Dying Polyester Curtains- it can be done! 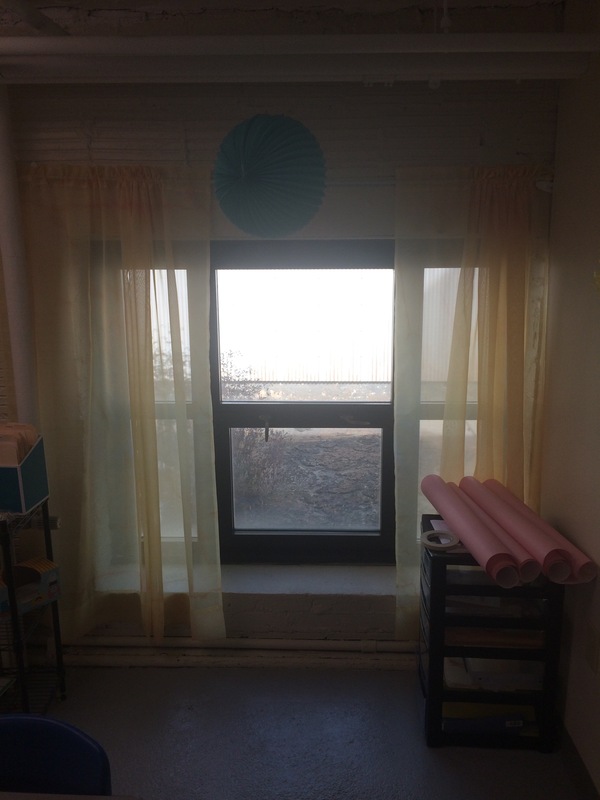 Another curtain project… I really wanted curtains for my classroom without spending a lot of money. I searched everywhere, Facebook yard sales for orange curtains. ( I have a Dr. Seuss theme going on in my room). I also need to add that I HATE curtains. They are so expensive and its so hard to pick the correct one. I found white curtains at this place in my town Called Big Value Outlet. 3.99 a panel which was perfect for my budget. I figured I would bring them home and Dye them, I’ve dyed shoes before how hard could it be? When I picked up Orange RIT dye at the store I found that all of them said not suitable for polyester. OF COURSE the curtains I purchased were 100% polyester.Turns out you can’t dye polyester because its plastic fibers that wont take on dye. I quickly googled how to possibly dye Polyester and found some ways. I love a good challenge. I needed somewhere to dye all of these curtains because well, I’m afraid to ruin my mothers tub. 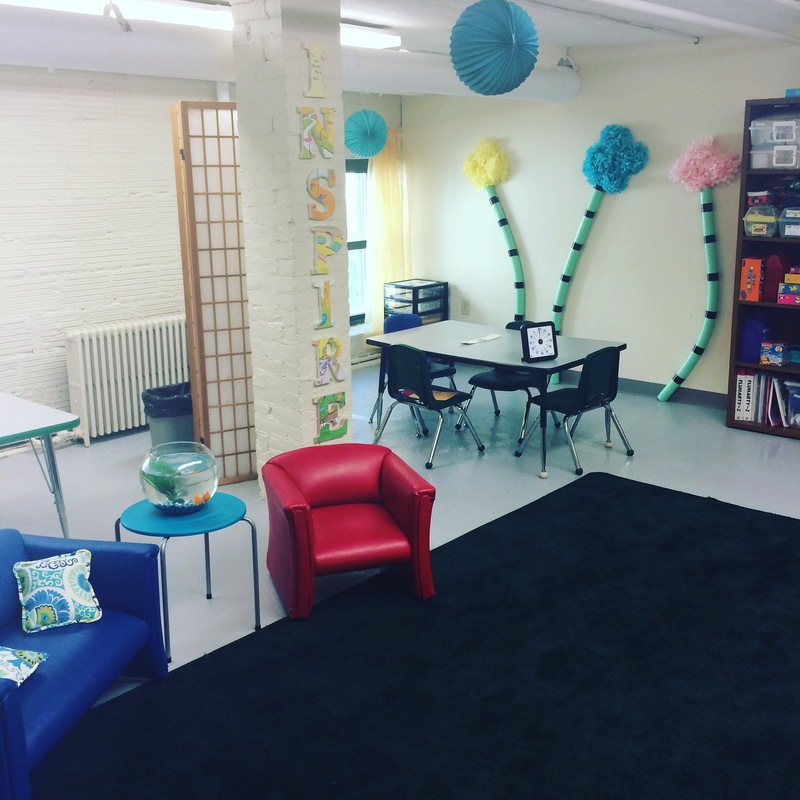 I bought a plastic bin from Target, which the dye did not affect so I later used it as storage in my classroom. I also did this project outside with the hose. First thing you need to make a dye successful is Rubbing Alcohol. One part alcohol to 7 parts water. It also says to use very hot water to try and melt the fibers. I couldn’t do this because I was using the hose outside. I stirred curtains occasionally. I think what really worked is how long I dyed the curtains for. I left them outside in their dye for over 24 hours. ( with a lid). I left them in full sun in hopes that the sun would heat the water. The problem when dying polyester I find is that the shade of color is going to be very light. Lucky for me that’s what I wanted. When I took the curtains out to try, I laid them flat on the floor. This created puddles of water and made a tie-dye effect or marble effect. If you do not want this effect I suggest hanging them up so the extra water drips out of the curtains. Whatever you DO NOT wash them. Once they are dry I took a hot iron and ironed every curtain panel. I still have not washed the curtain and I am not sure how they would hold up if they were washed. BUT I did read about the dye rubbing off on hands and whatever you placed polyester on. That did not happen to me! The dye seems pretty permanent. The curtains are a beautiful color and I am so happy!